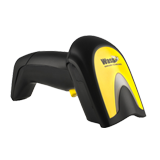 The Wasp WWS550i cordless barcode scanner delivers unmatched freedom, flexibility, and functionality in a value-packed, lightweight design. Eliminating the clutter and tangle of cords, the WWS550i rapidly scans barcodes in retail, light industrial manufacturing, warehouse and distribution centers, offices, mail rooms, or mobile service environments. 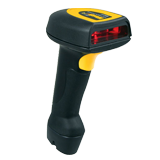 The CCD LR scan engine scans all popular linear (1D) barcodes with a scan range up to 12” away from the barcode. The WWS550i’s wireless functionality makes it easy to capture data instantly on your smartphone or tablet device. 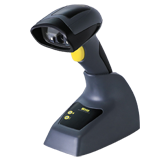 Simply sync the WWS550i to a PC, Android™, or iOS® device, including an iPhone® , iPod® , and iPad® , and you’re ready to scan 1D barcodes without the hassle of a cord. Wireless connectivity allows for up to 30’ line of sight from an Android or iOS device and up to 160’ line of sight from a PC. Seamlessly integrate the WWS550i with your application and accurately track inventory, manage assets, and simplify POS transactions on-the-go. Wireless functionality eliminates cumbersome cords, creating a more efficient working environment. 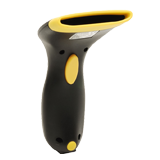 Whether you use the WWS550i as a cordless inventory scanner, as a retail wireless barcode reader, or for any barcode scanning needs, the WWS550i cordless barcode scanner will improve the speed of your operations.